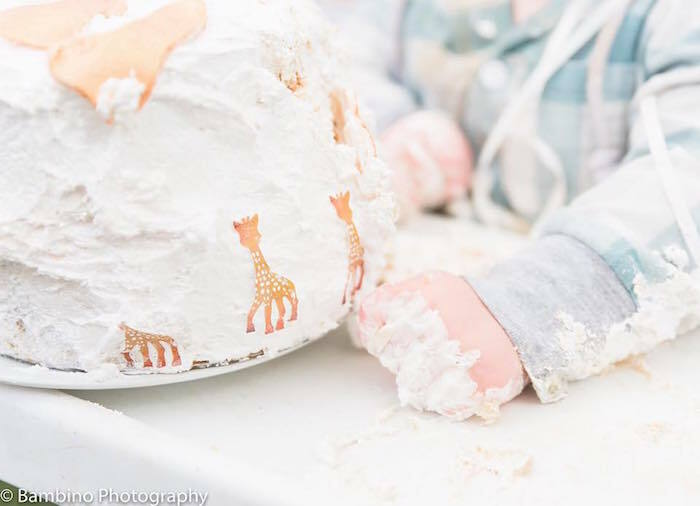 Reach to the sky and stretch out your neck, this Sophie the Giraffe 1st Birthday Party will have you exclaiming “oh my heck”! 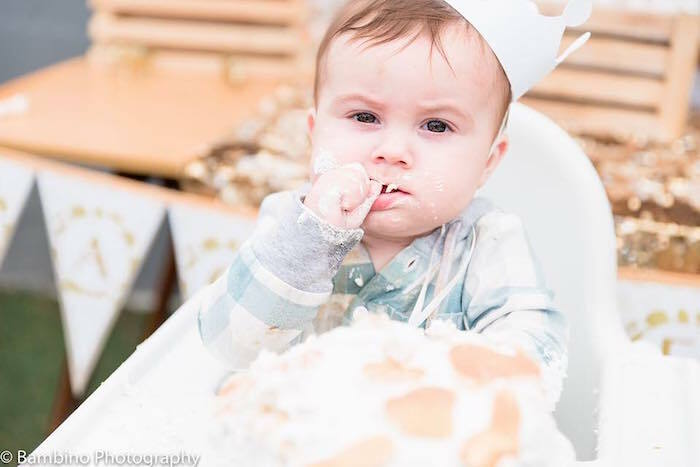 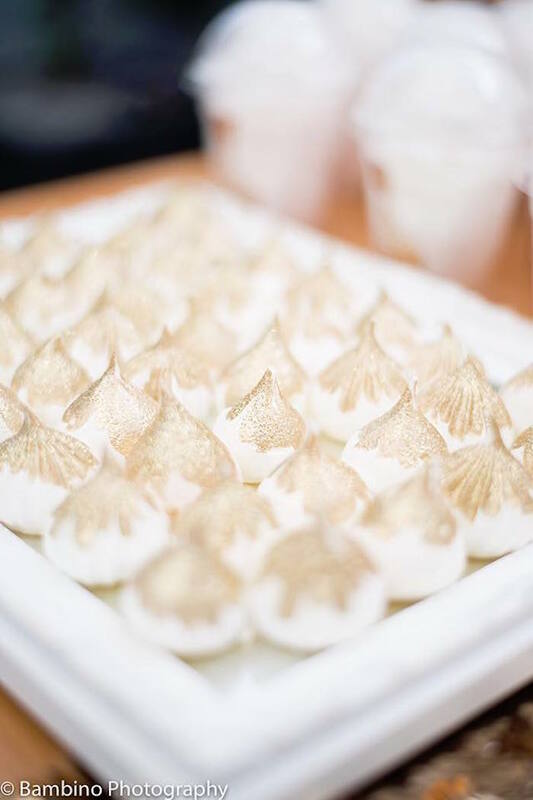 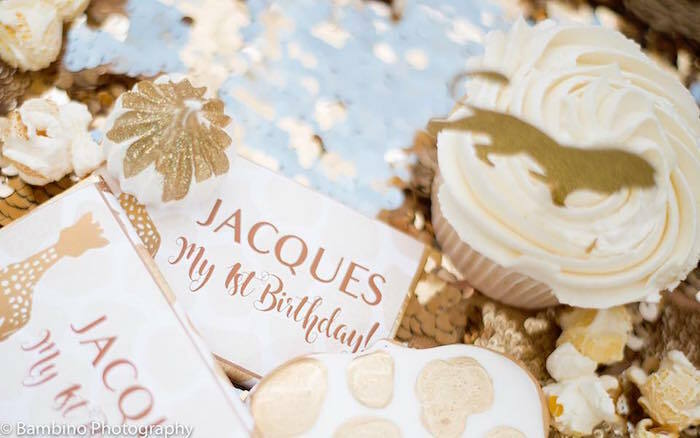 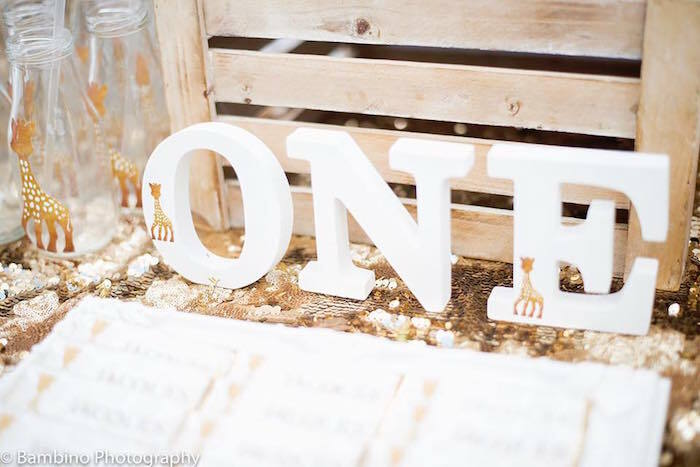 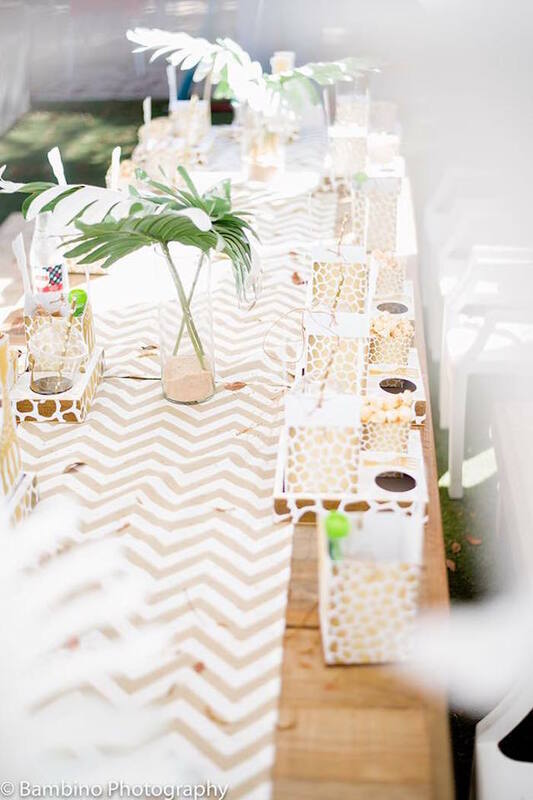 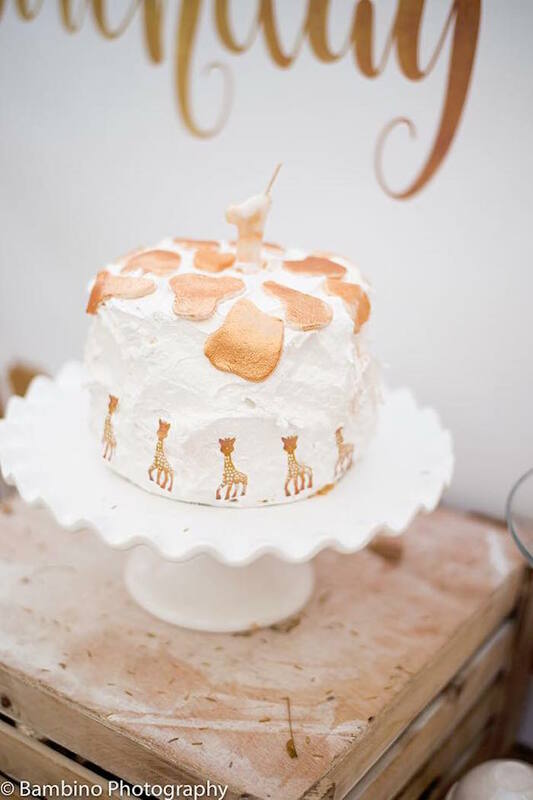 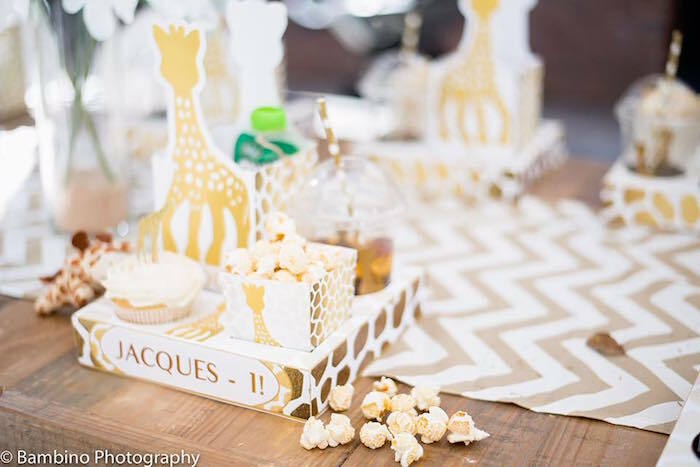 Filled with details both precious and cute; this little party by Lize Botha of Organizit Party Styling Centurion, out of Pretoria, South Africa, is quite the hoot! 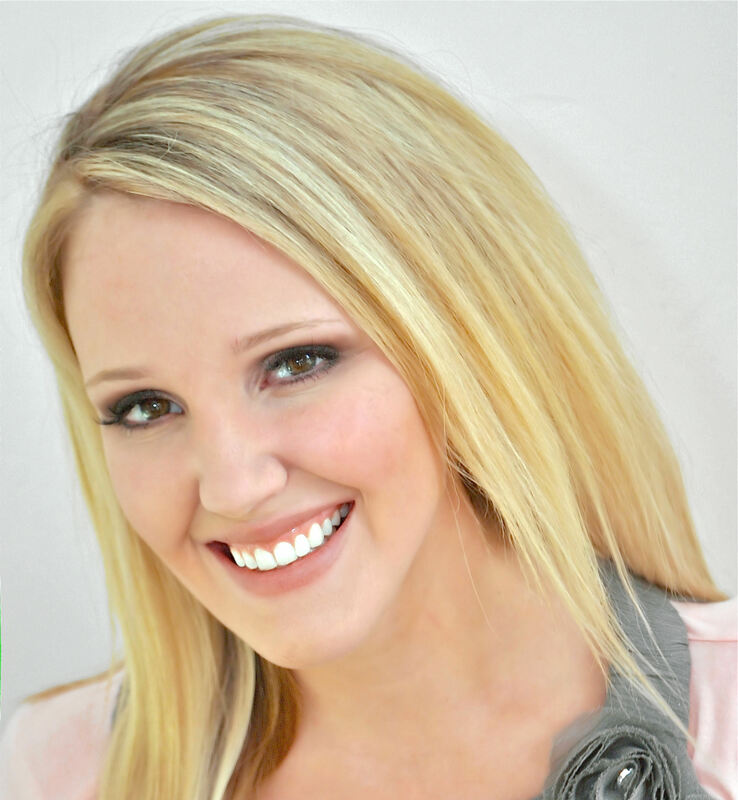 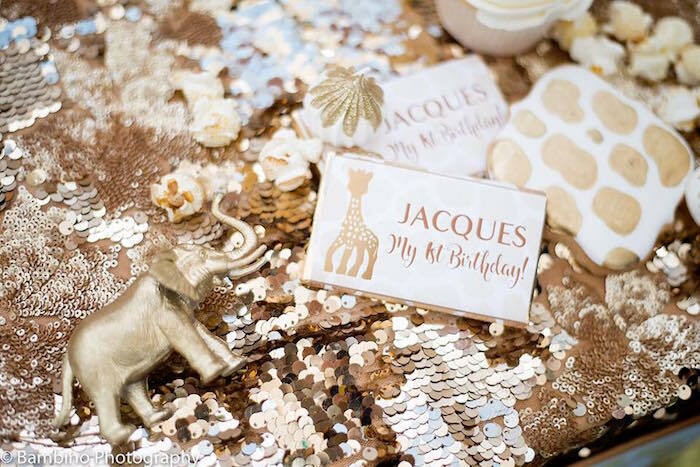 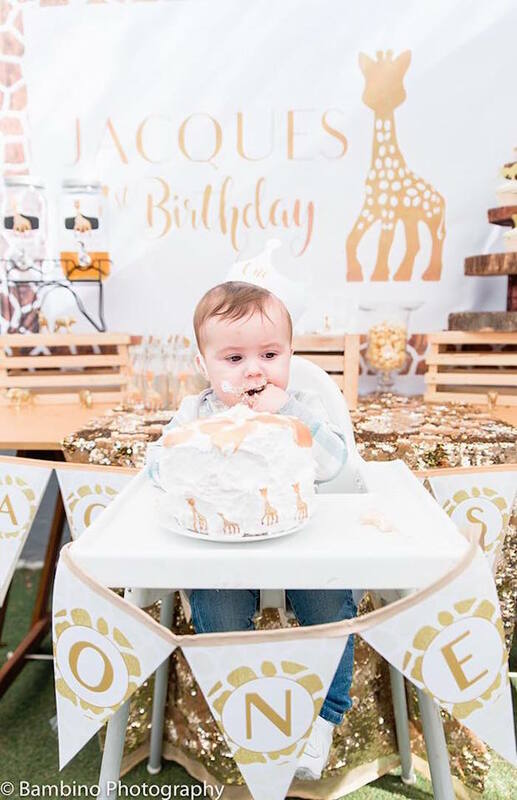 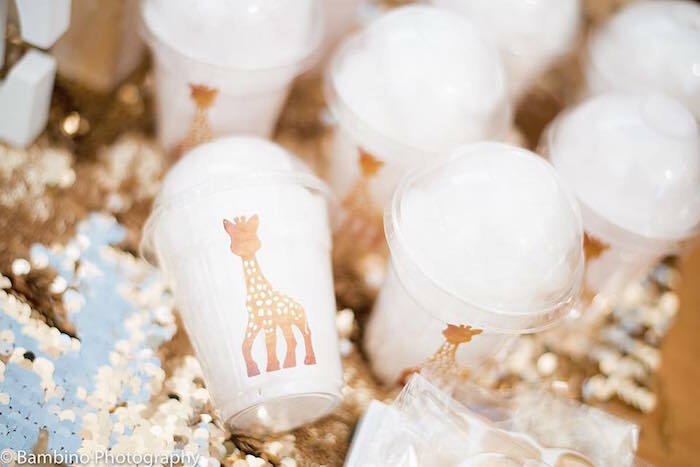 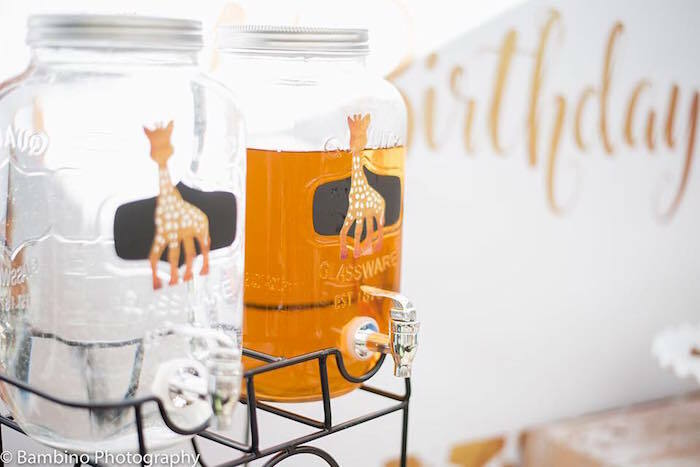 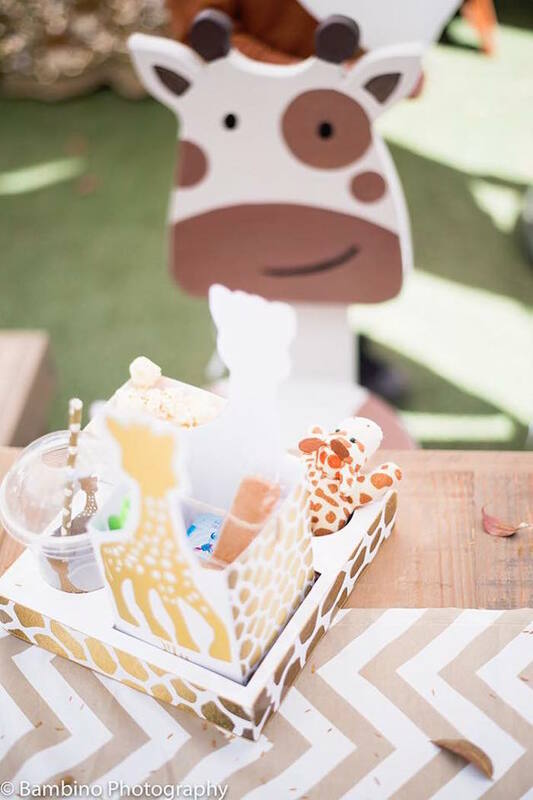 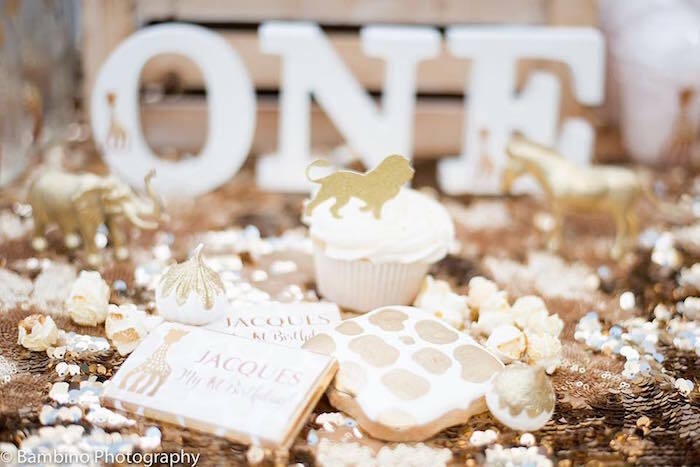 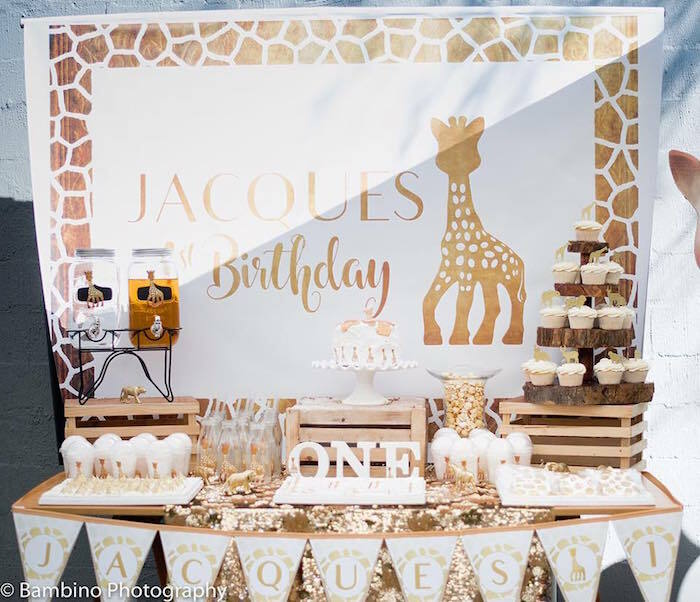 This is what Lize shared about the party- “I absolutely loved styling little Jacques Sophie The Giraffe Teether first birthday, we were inspired by the beautiful colours and theme that Angelique Gerber Potgieter choose. 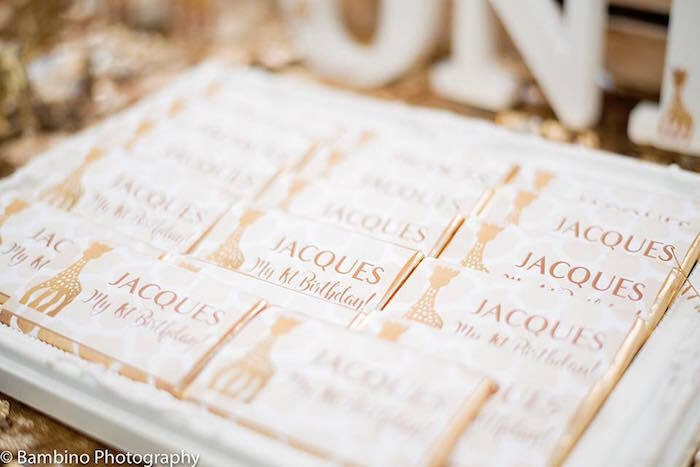 Bambino Photography captured this special day for us. 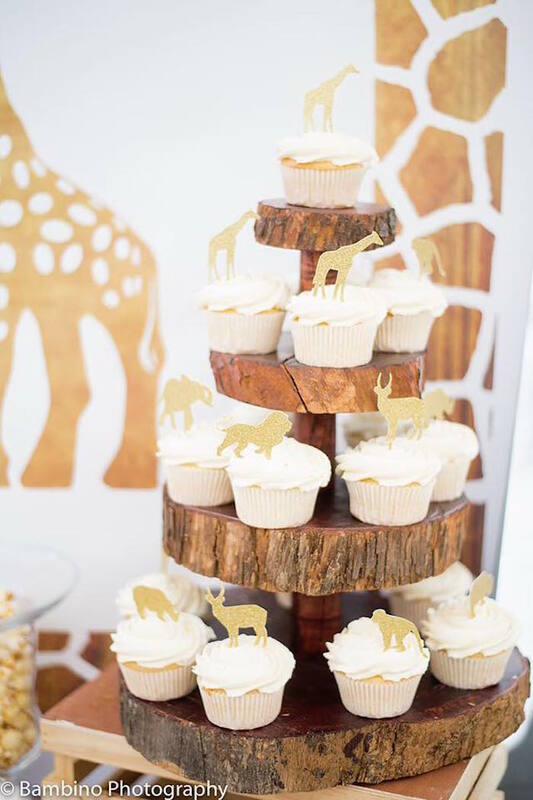 As always our dear supplies executed with perfection and I combined their perfect treats with the wooden elements and design to create this stunning feel”. 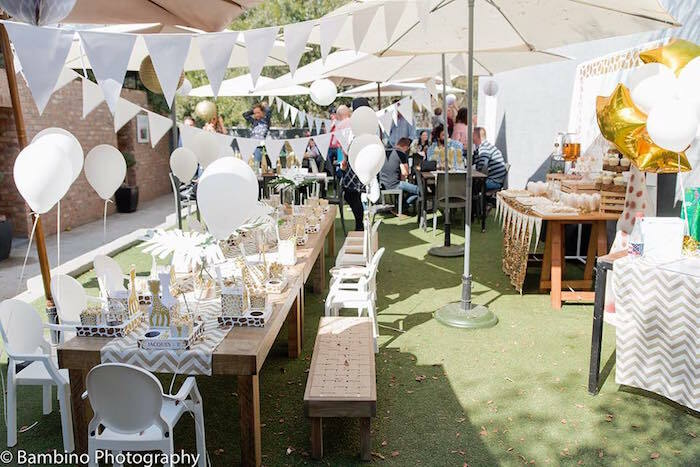 Taste Life Café – Party venue. 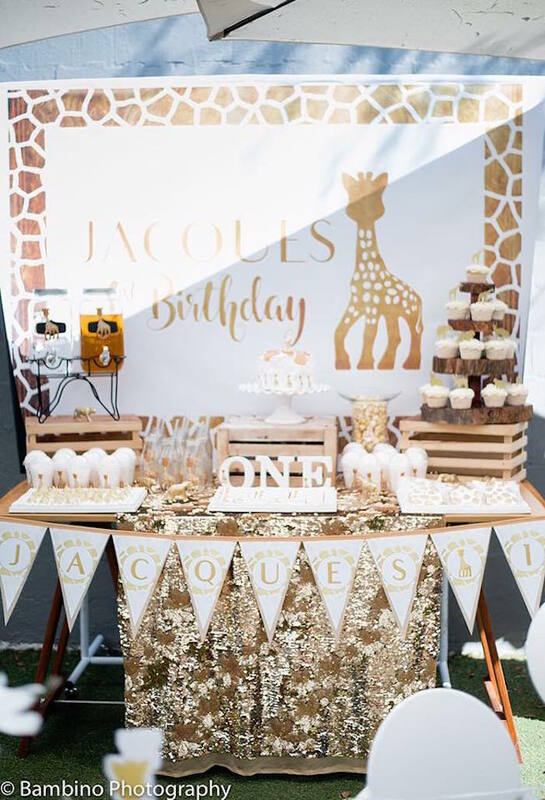 LOVED making his party trays and bunting, thank you Lize, thank you Angelique and thank you Kara for featuring this gorgeous party!